Yes I like alliteration. Sue me. I know we've been over this before. I have a purple fetish if you will, but how can I wean myself when I find goodies like this? 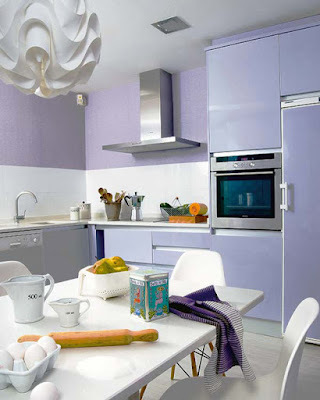 Found a veritable lilac bonanza on desire to inspire. Have you guys checked them out? 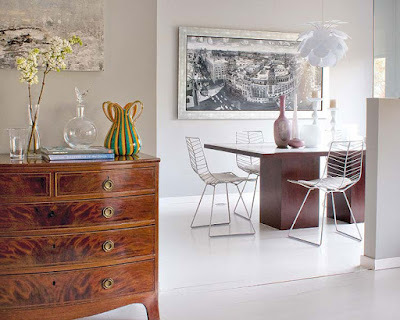 A really nice interiors blog with a bit of gumption. Unlike so much else that's out there, I don't usually feel 'yawn' when I peruse their pages. Over time, decor mags/blogs can get really trite and tired but these guys keep me coming back for more with their fresh and not too-hoity-toity-ness. I'll leave you with this. Go to desire to inspire to see the rest. ps. I totally agree with Kim about the purple rug not being so hot. It's pretty blah blah. A wicked oriental with some nice red tones, would provide the much needed punch. Me loves red and purple. Thanks for the blog love Anna!